Thank you for purchasing a copy of Sell Your Book Like Wildfire. This book, published in 2012, is out of print and no longer available for purchase. However, this page gives you access to all of the free bonus features mentioned in the book. Since marketing and publishing are under constant change, I want to keep you up-to-date with this ever-growing library of extra articles and information listed below. Feel free to save them and share them with other authors and publishers you know. 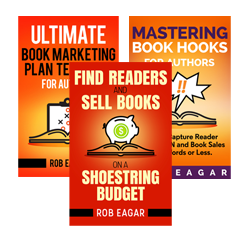 What If You Don’t Know the Value of Your Book? Is a “Bestseller” a Brand? Will a Brand Fence Me In?